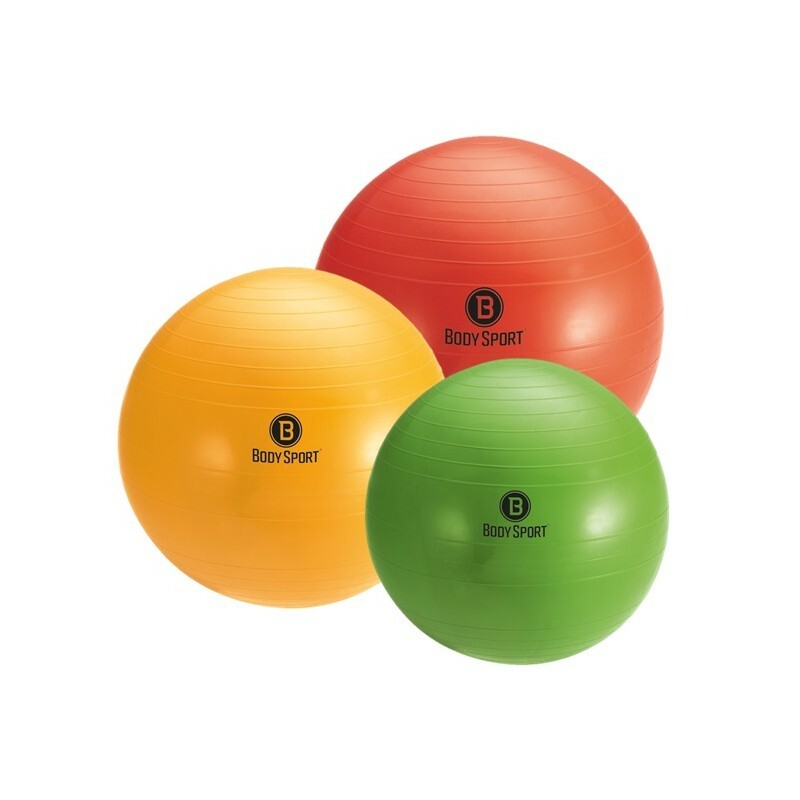 • 55cm (Green) = 5' to 5'7"
• 65cm (Yellow) = 5'8" to 6'3"
• 75cm (Red) = over 6'3"
The Body Sport brand of Exercise Ball is unique because of the ridged design. This ribbed pattern circles the ball and helps to prevent slipping, effectively reducing injuries. 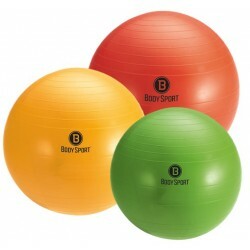 The Body Sport Fitness Ball is designed not to burst. If the exercise ball is punctured the air will release slowly, rather than popping. • Includes pump, illustrated exercise guide and instructions. • Maximum weight: 600 lbs.